On my walk back from the bakery. I was enjoying the sky. We have a considerable amount of available sky where we live. Plenty of space to view what shapes the clouds are making. Imagine my surprise to be on the outside looking in and finding everything was inside out. These are my favorite fotomoments. This is a photo of the designphiladelphia calendar for 2006. Those are some other colorful items I have on my desk. Our friend Hilary is Director of The Design Center at Philadelphia University. She is smart, fun, and tireless in her efforts to expose the value of design to the public. She is one of the directors of designphiladelphia. 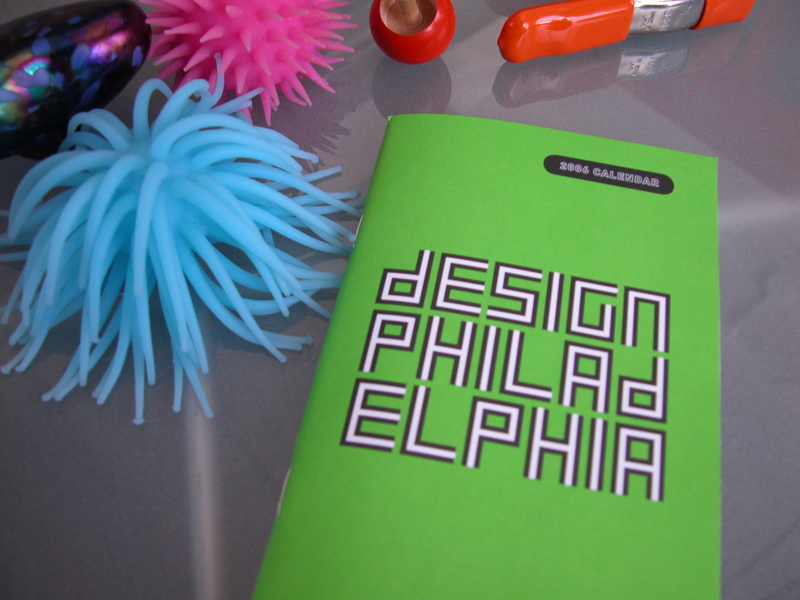 In its second year designphiladelphia will take place from April 1 -9. If you are in or near Philadelphia the first week of April come and experience the vibrancy and diversity of our designcommunity. There are more than 50 events taking place across the city including gallery tours, public lectures, exhibitions, workshops and parties. I’ll be trying to go to as many events as I can. I’ll try to post my experiences here. 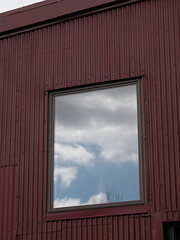 You can point your browser to http://www.designphiladelphia.org/ and find out what’s happening. You can pick up a copy of the calendar at the AIA Bookstore. This is Hilary’s official bio. In 2000, Hilary Jay became Director of The Design Center at Philadelphia University (TDC), charged with repositioning the institution to reflect the university’s broadening design and technology curriculum. Under its new mission, TDC investigates the uses, effects and meanings of design in our everyday lives. During the past four years, TDC has won support and funding for groundbreaking exhibitions and symposia such as What Is Design Today?, Hopping Fences: Influences in Modern Living, and Simple & Direct. Previously, Jay was the design columnist for the Philadelphia Inquirer Sunday Magazine and City Editor for Metropolitan Home. Jay co-founded Maximal Art, an international costume jewelry company marketed throughout the United States, Europe and Japan, and collected by London’s Victoria and Albert Museum and Musée des Arts Decoratifs in Paris. Jay presently serves on the board of the AIA, Philadelphia Chapter as their public member. This is the Joby Gorillapod. It costs 23 bucks. You just have to buy one. Want to be convinced? Go to their website : http://www.joby.com My first thought was, I have to by this. No more screwing around finding a flat surface. Especially on those hikes in the Adirondacks. Second thought was … geeze I need a remote control for my camera. So now I’m looking for the right little handheld digital goody. My film Canon ELF is no more. The film cannister is no longer manufactured… bummer. I loved shooting with it. So now I am in search of the perfect little digital to go with the Joby I am ordering. So if you have any suggestions for the camera I should get I would love to hear them. When you see the animation you’ll fall in love. If you are the outdoors type you can purchase it at REI, or if you are a photo geek go to B&H. I was wandering around flickr and found this lovely vingette. We have the same kind of shrine in our home. 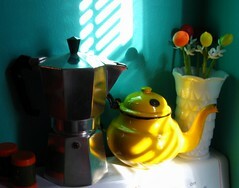 Various teapots, coffee pots, presses, and cups. Little spoons, baskets, sugar cubes, and creamers too. One of the comments mentioned this blog Teapots, Teapots, Teapots from a fellow in the UK. I wandered on over and had a blast. You might want to go over and take a look tea drinker or not. It’s a wonderful experience. Just like visiting a little tea shop. In Philadelphia we have quite a few wonderful places to have tea. We are very fond of Great Tea International. Charlotte, the owner, will help you make selections will provide you with the opportunity to try something adventurous. Peaceful and friendly. Relax, converse, work, study, or meditate. Samsung Electronics said on Wednesday it had developed a new data storage medium for mobile computers that enables users to process data much faster with minimal consumption of power. I have been waiting for when we would have devices that would keep our laptops cool, save battery power, and make our devices lighter. can find out which phone is mine. I just found this while sorting through some flickr stuff. I dump all my images there just for a back up. Up pops this one from my parents 50th wedding anniversary. This is the kind of stuff we do when we are together. We all love gadgets. 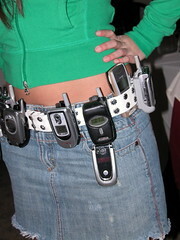 Everyone had a cellphone, everyone had a digital camera… some had phones with cameras. Its a consumer kind of thing. We are a family of early adoption. I remember us having one of the first televisions. I remember us having the first color television in the neighborhood. I remember us having the coolest stereo. I’m not quite sure if this is genetic or learned behavior. When I was a kid I would help my dad fix tvs in the garage. I would help him degauss the set before returning it to a neighbor. I held the solder for him as he would add the flux. It was great fun to hold a mirror so he could see what the picture looked like while messing with the controls in the back. I love to open up my devices… I changed the battery in my ipod [with help from Peter who gouged his hand]. I replace hard disks, video cards…. I love to solder things. I’m still thinking about upgrading my cube [see moments of indecision] because I just want to keep using that sweet thing. I don’t like to throw things away. I like to fix them, upgrade them, use them for something they weren’t intended for… I want to know how things work. I want them to do something different. My dear friend [and acupuncturist] is also a filmaker. When I learned that he would be making a film about “the inner life of each of us” it was clear that there was something I could do. Help get the word out. This is a beautiful and thoughtful film. Still in production and in need of additional funding. Using wordpress we were able to get something manageable up quickly. This desk has supported many a crazy idea. thoughtful proposal, check signing, thank you and introduction. It has been the centerpiece of three different studios. I have enjoyed its company and its presence. I will miss it dearly. I’ve reconfigured my office to share with my partner. I feel this need to document such an important event. I haven’t given up my sovereignty — but It has always been meant to be a partners’ space. When we moved into the space I had designed a partners desk but alas ran out of money to make it. So until now I have used my glass desk. 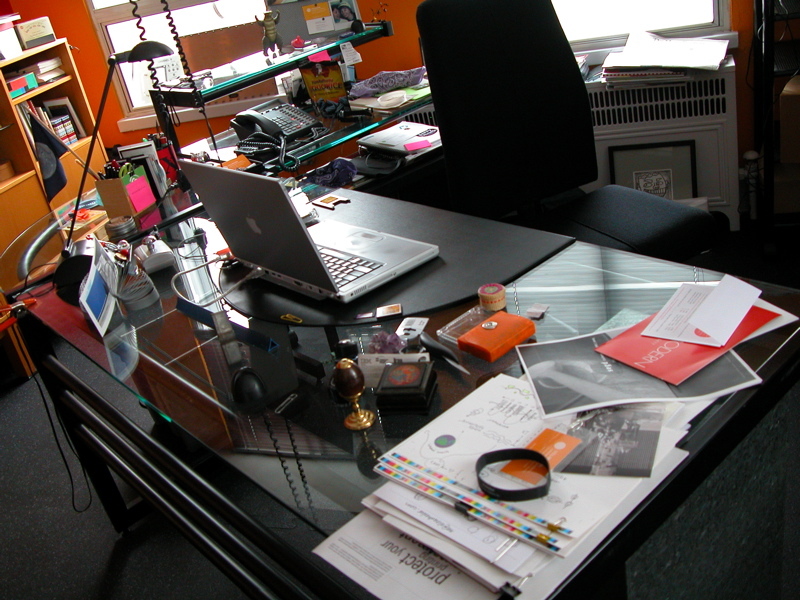 It’s a handsome glass desk from IKEA. It now is on long term loan to our friends at the Bridge Club of Center City. It seems delighted to be there. The center of attention. The place where people are welcomed and attended to. It feels right at home. I’m glad I can always visit my old friend there. 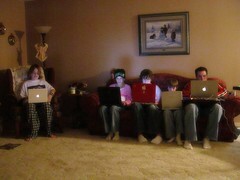 This is a photo I found in the Macintosh Group at flickr. I had to post it. It’s so trueAll I could think of was the photos of people gathered around the radio to listen to shows or tv dinners and black and white tvs.